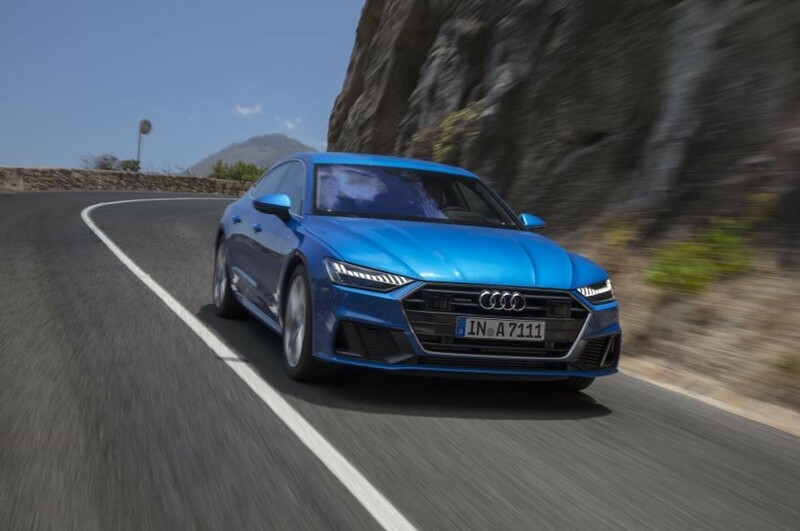 The 2019 Audi A7 Sportback, starting at $68,995, delivers utility, speed, and comfort. You will find next-level technology, a strong powertrain, and sleek styling. The vehicle’s structure got lighter and stronger for this model year, resulting in an even better driving experience than before. 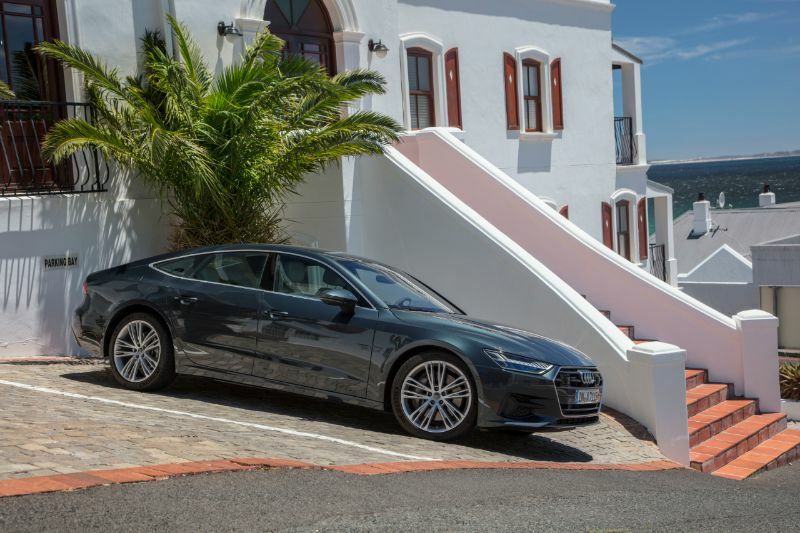 The overall shape of the A7 Sportback is the same as in the previous model with updated details. You will notice the front grille is wider and lower while the body now features sharper creases. The rear haunches are more prominent than before, as is the lower character line. This is also the first time the hood gets its own line and you will spot a taillight graphic on the rear end running across the Sportback’s width. Also, by the rear of the A7, you will notice a spoiler integrated right into the hatch. This spoiler only pops up when you reach 75 mph. The interior styling is more modern with its two screens on the center console complementing the third one on the dash. The output from the 2019 A7 engine is the same as the previous year, 340 horsepower, but it does so in a different way. The previous supercharger is gone, replaced by a turbocharger in the 3.0-liter V6. That change enhances the torque up to 369 pound-feet, compared to 325 pound-feet the previous model year. Audi added a 48-volt mild-hybrid system which quickens and smooths out the stop/start function. There is a 7-speed dual-clutch transmission that works with all-wheel drive. Going from zero to 60 mph will only take you 5.3 seconds in the latest A7. The A7 Sportback delivers a hatchback shape that helps this Audi deliver more cargo space than the competition. Specifically, the A7 has 18.9 cubes behind the rear seat or 49.1 cubes with the rear seat folded down. Rear headroom, however, is somewhat diminished by the sloping roof. 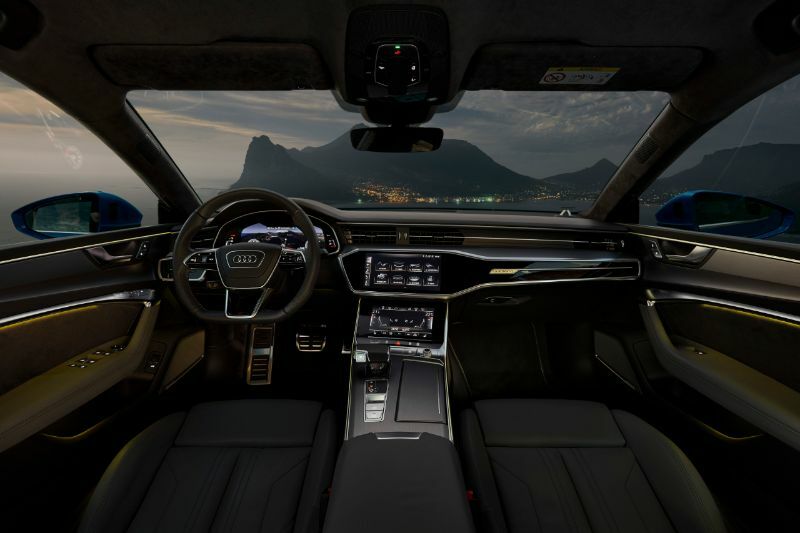 There are high-end materials throughout and the new touchscreens show Audi’s technological focus. As mentioned, the 2019 Audi A7 Sportback has two large screens in the center console. These screens give you access to the MMI Touch Response system and you can add a 12.3-inch Audi Virtual Cockpit screen for the digital gauges. Expect features like a power liftgate, power-adjustable and heated leather seats, navigation, automatic climate control, and a sunroof. 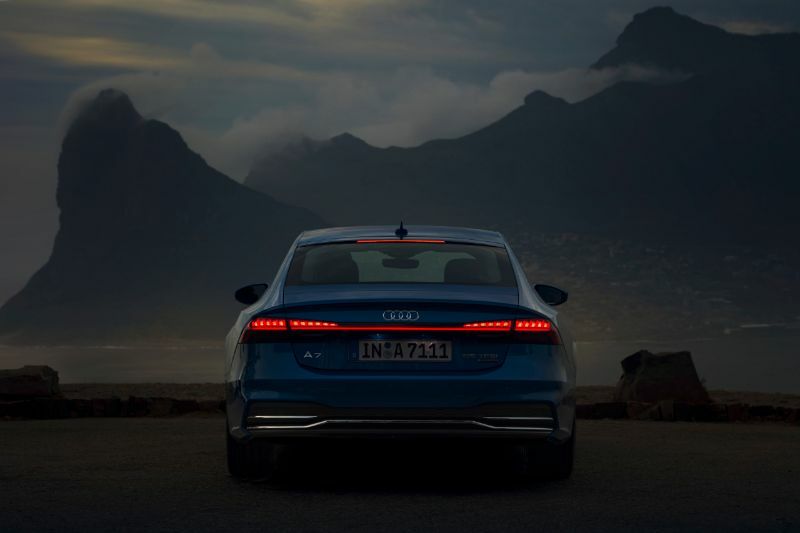 As expected for an Audi, the 2019 A7 delivers plenty of safety features along with rudimentary self-driving tech. All models come standard with a rearview camera, rear and front parking sensors, automatic emergency braking, forward-collision warning, and blind-spot monitoring drives want and need to keep safe on the road. 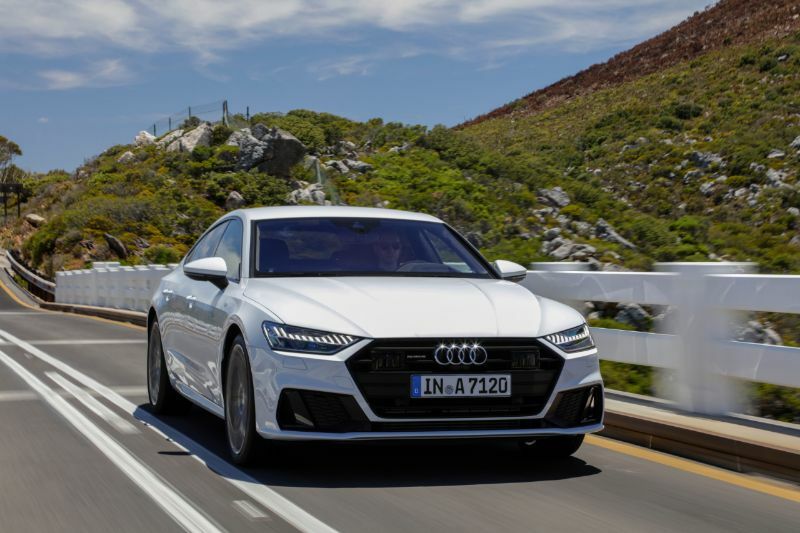 In total, you can configure the A7 with 24 sensors, which includes 12 ultrasonic sensors to help with parking, a front camera, four cameras to deliver surround-view, long-range radar, a front laser scanner, and four mid-range radar modules. There are two automatic parking systems, a surround-view camera, adaptive cruise control, night vision, rear cross-traffic alerts, forward cross-traffic warnings, exit warning system, automatic high beams, and active lane control.